Welcome to AHB Community School! 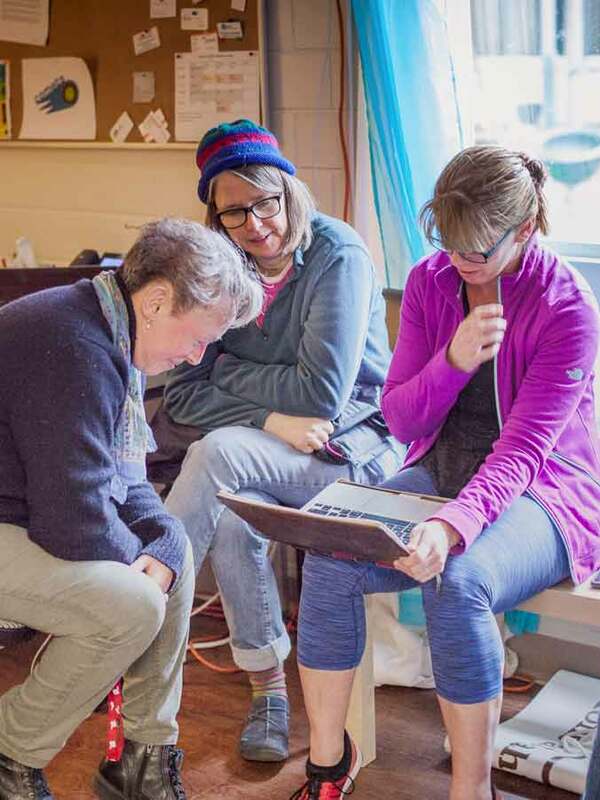 We are a community of families and educators who foster a creative and collaborative educational alternative, cultivating authentic, balanced critical thinkers who are prepared for a life of learning. AHB implements a Progressive Education approach. Our students learn by doing, experience integrated curriculum through thematic units, and develop problem solving and critical thinking skills. We offer many opportunities for collaborative work to help our students develop social and cooperative learning skills. Our highly personalized education focuses on each individual’s personal goals, on community service, and on adaptability to our ever-changing world. Browse the menu above, or read on for our philosophy, for details about the elementary years program, middle years program, or for an overview of the admissions process. Please contact us if you have any questions. We strive to limit classes to an 11:1 student-teacher ratio. 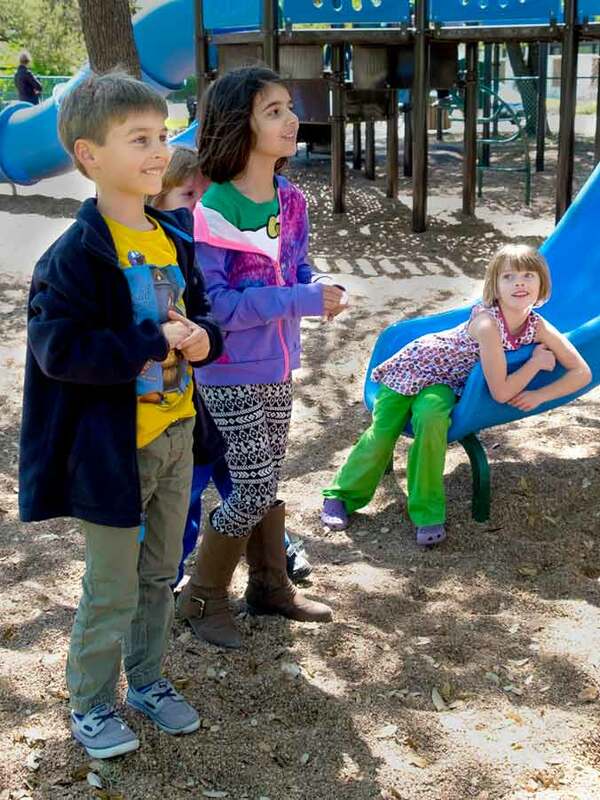 We serve grades K–8 and group by ability into four classes. Each student advances as he or she shows readiness to take on new challenges. Daily classes focus on full-semester group projects instead of standardized testing. Older students are encouraged to mentor younger ones. More focused education allows us to spend less time in school, but extended day and week options are also available. 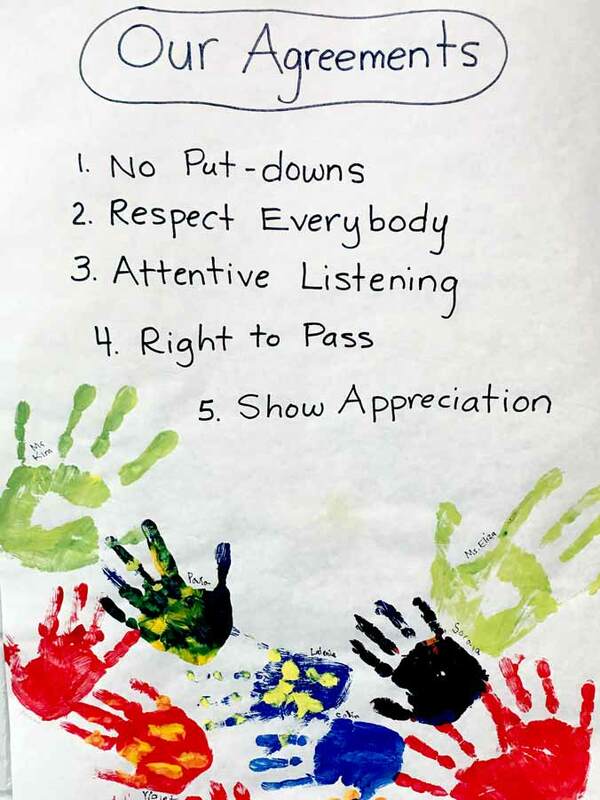 Students learn and expect positive, confident, respectful interaction. Monthly socials help parents become part of our community, too. Each family contributes service hours throughout the year to help maintain and improve the school for everyone. © 2016–2019 AHB Community School. The content of this website is licensed under a Creative Commons Attribution-ShareAlike 4.0 International License; other use or duplication is prohibited. Site design and code © 2016–2017 Raju Tavadia, licensed to AHB Community School. AHB does not discriminate on the basis of race, color, gender, sexual orientation, nationality, ethnic origin, or religion in its hiring, admissions, and administration of its program.